This level has easy difficulty. 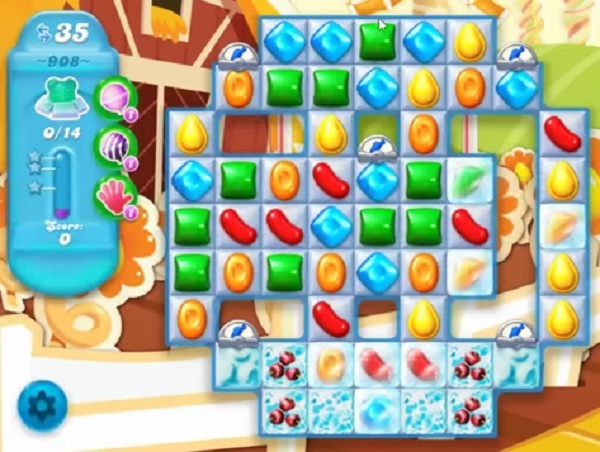 For this level try to play more from where more candies are available to play to make special candy. Combine them with each other to break more blockers to find the bears. Level 908 needs to be updated. I have different screen than the help pages. Without doubt the most difficult of 908 levels so far. How it is called easy difficulty I’ll never know. I’ve used double fish so many times and nothing. The fish are not on our side. They work for King and swim anywhere which won’t help us so we spend money. Not good conduct.